Information Technology Law, FDA Law, Copyright Law, Outsourcing, Cosmetics, Food, Information Security, Software, E-Commerce, Privacy, Dietary Supplements... See More. Joel B. Rothman represents clients in intellectual property infringement litigation involving patents, trademarks, copyrights, trade secrets, defamation, trade... Read More. The Law Offices of Daniel S. Polley, P.A. Malin Haley DiMaggio & Bowen, P.A. Commercial Litigation, Litigation - Real Estate, Business Litigation, Libel Slander Defamation, Business Torts, Contract Review and Negotiation, Operating Agreements, Contracts & Agreements, Employment Agreements, Employment Contracts, FLSA, Overtime Pay... See More. 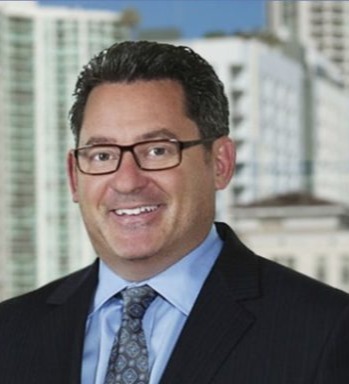 Steven Osber is a senior partner at Conrad & Scherer’s Fort Lauderdale office with a practice concentrating primarily on commercial and business litigation. Mr. Osber’s case representation ranges from routine litigation... Read More. Perlman, Bajandas, Yevoli & Albright, P.L. Nancy J. Flint, Attorney at Law, P.A. Carol Green von Kaul Esq. Carol Green von Kaul, P.A. Appellate Practice, Commercial Litigation, Closely Held Companies and Family Businesses Law, Business Organizations (Including LLCs and Partnerships)... See More. Mr. Rosenthal was born in Miami, Florida. He received his B.A. from the University of Virginia in 1986 and his Juris Doctorate (with honors), from the... Read More. Mark Passler advises senior managers, brand managers, in-house counsel, technology transfer professionals, and inventors on intellectual property and entertainment law matters. He routinely assists clients in procuring, licensing, and enforcing patent, trademark, and... Read More.